Italian designers Dolce & Gabbana have teamed up with Bacardi’s vermouth brand Martini to launch their Martini Gold by Dolce&Gabbana. The making of a Martini® is definitely a unique process involving the best wines and herbs. 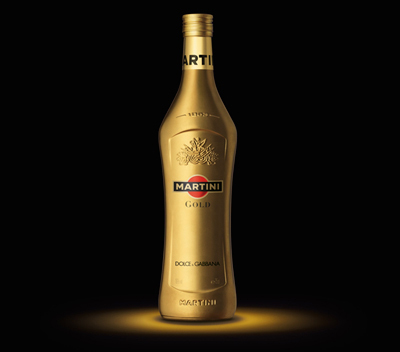 Add to the mix two world famous designers, the end-result, Martini® Gold by Dolce&Gabbana, becomes a stylish enterprise in which details happen to matter most. 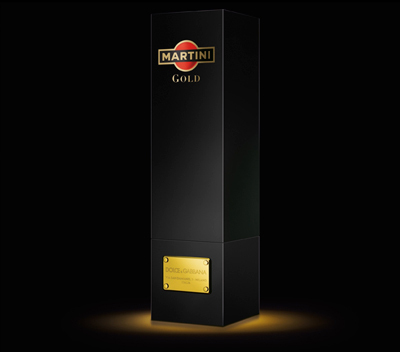 You can probably find it in selected locations already, but the official launch of Martini® Gold by Dolce&Gabbana will be in September. In the meantime get transported by the scents of a drink that dresses you from the inside. The exclusive mix, the essence: bergamot from Calabria, lemons from Sicily as well as oranges, Spanish saffron, myrrh from Ethiopia, ginger from India, and cubebe pepper from Indonesia.